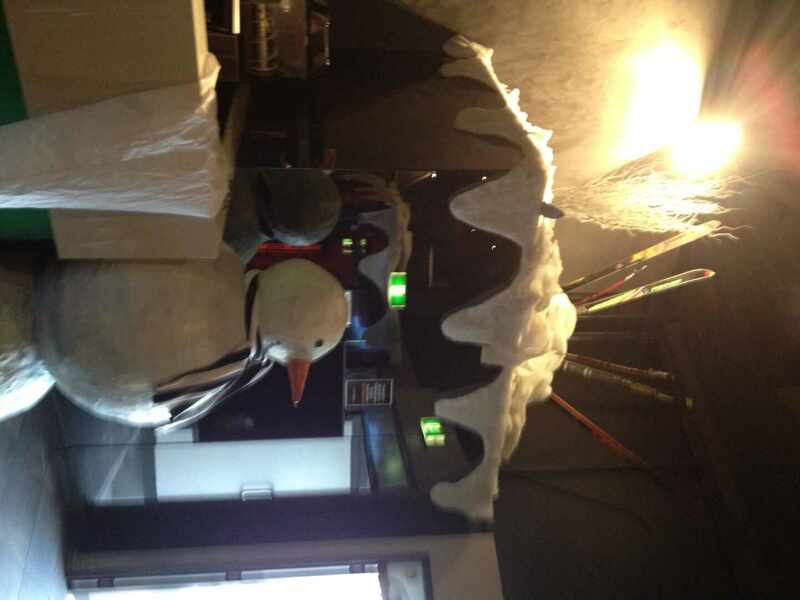 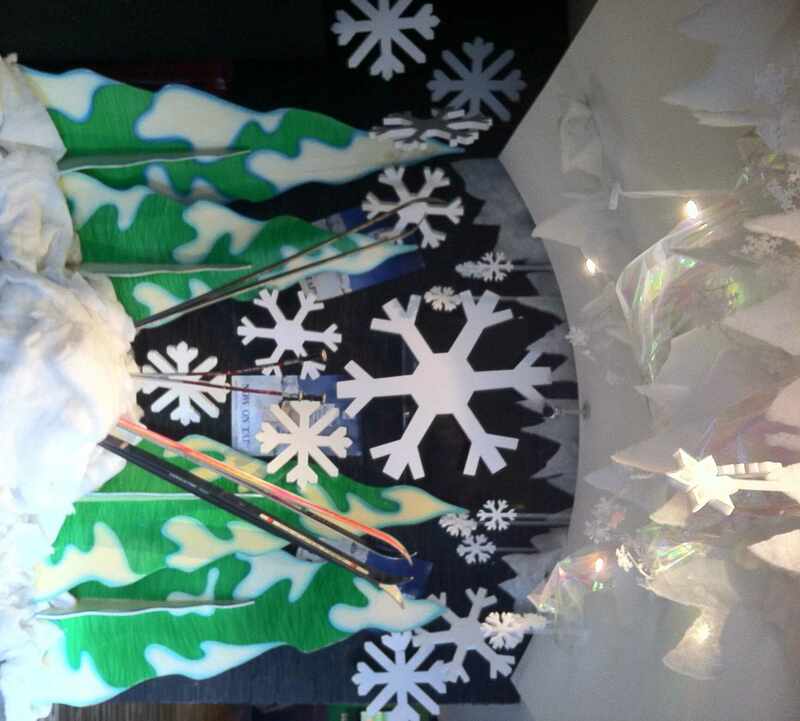 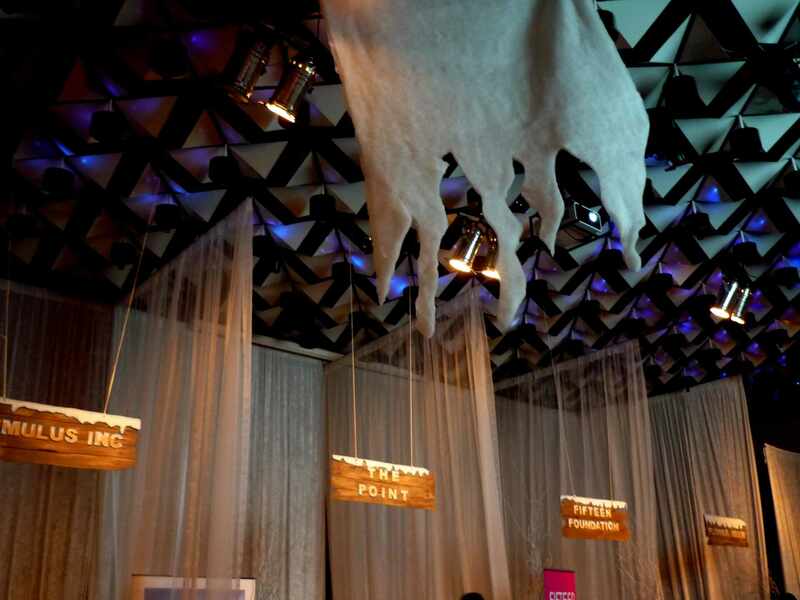 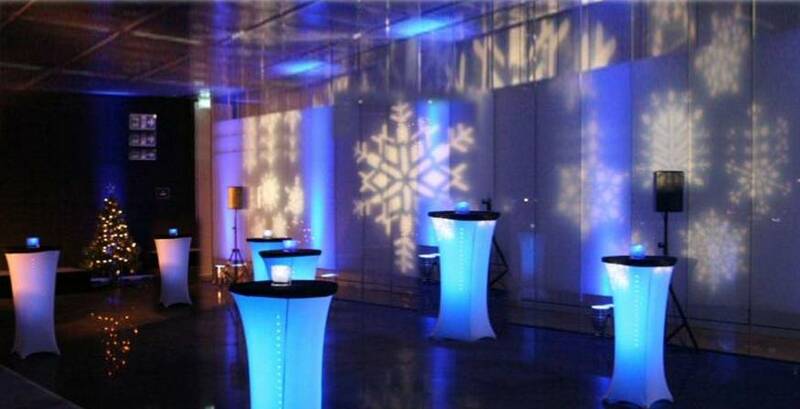 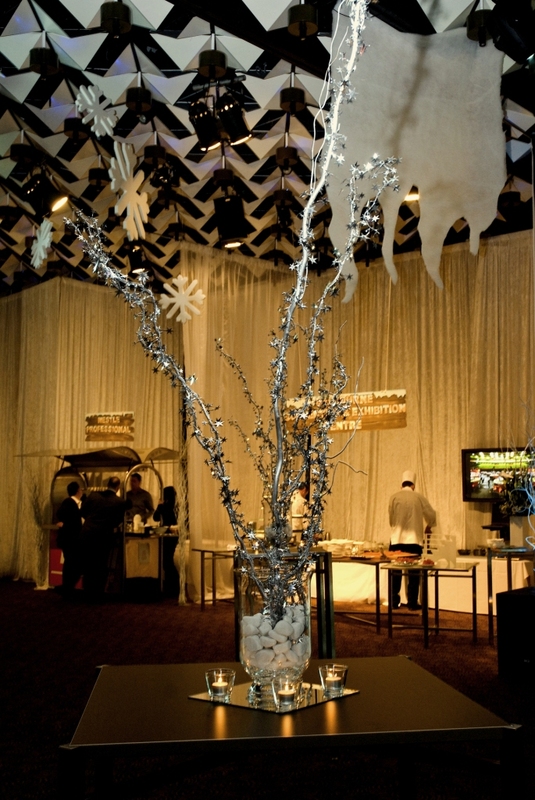 Step into our winter wonderland where icicles form on the eaves and snow drifts cover and pile up the floor. 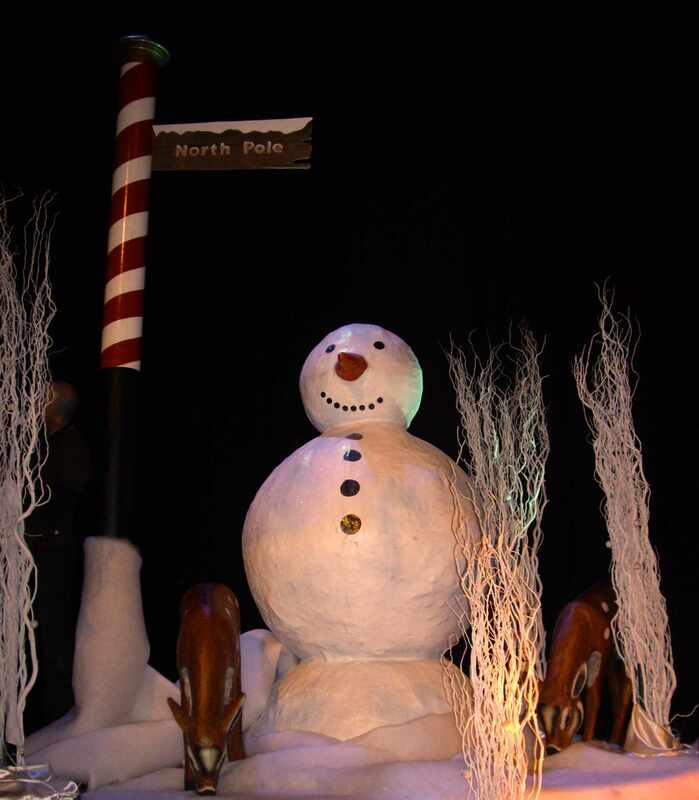 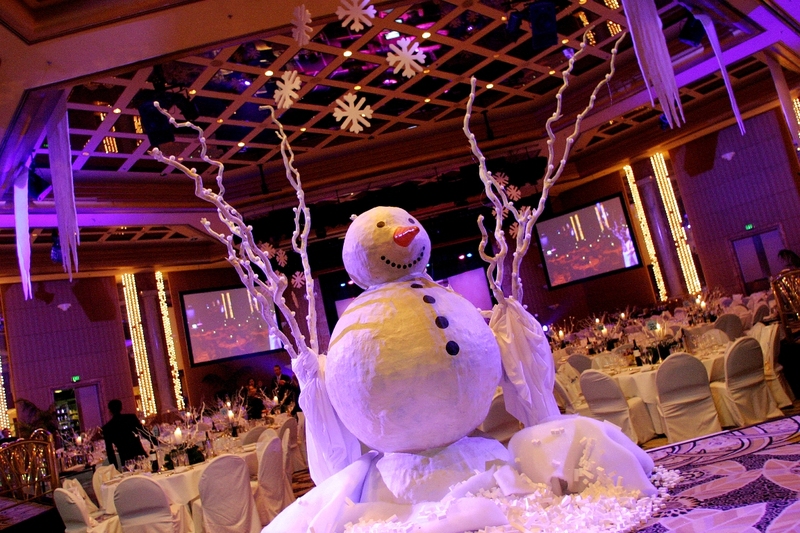 Pine trees dripping icy jewels, snowflakes and snow-covered walls create visions of a picturesque snowfield, whilst a larger than life snowman enchants and greets guests. 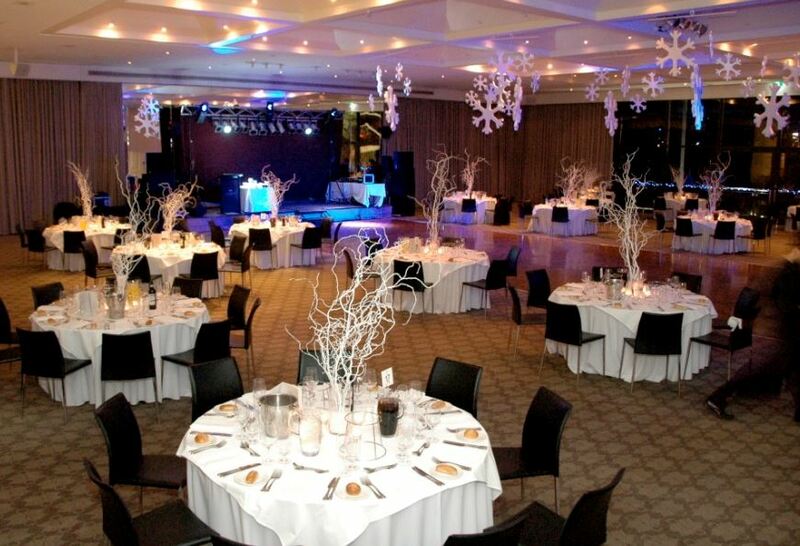 A chalet fireplace scene brings warmth and adds an extra dimension on stage. 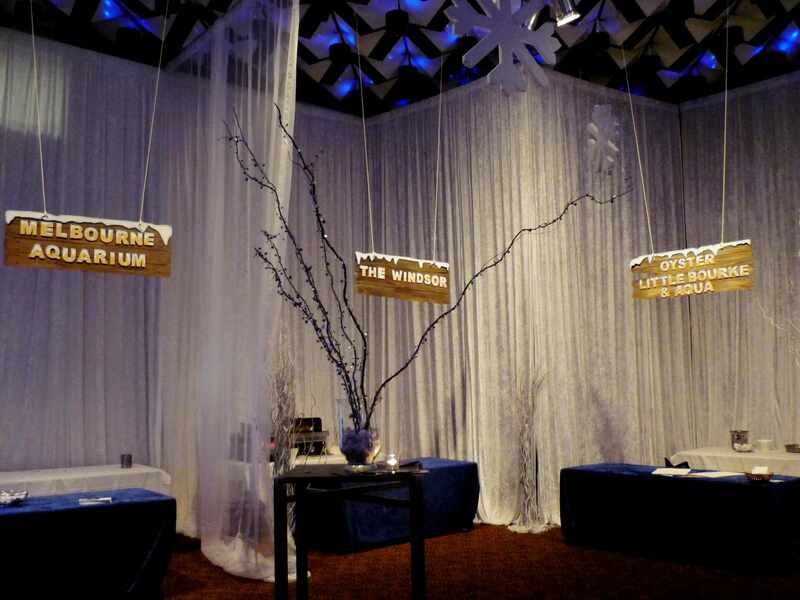 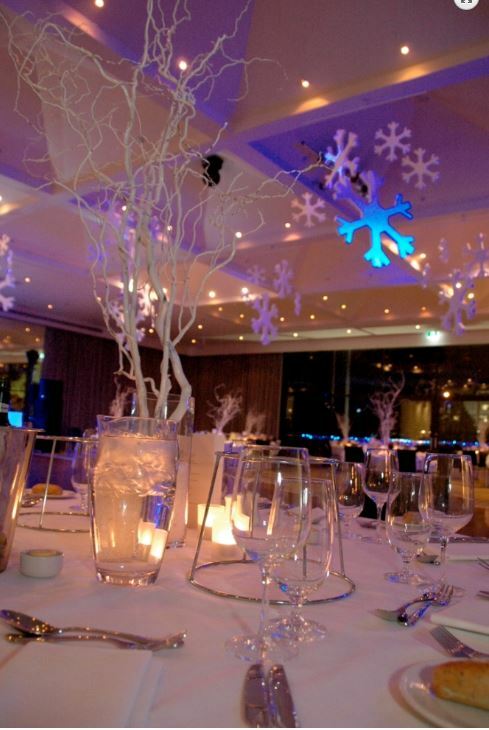 White cloths and crisp white twisted willow centrepieces are added to the tables to enhance a magical winter wonderland.